In a competitive industry like landscaping, marketing your business is crucial. But, more important than that, is knowing who your customer is. You probably think you have a clear picture of whom your business is targeting. However, this tends to be the top marketing mistake landscape companies make. Making assumptions can be dangerous, and making assumptions about who your ideal customer is can be the kiss of death for your business. Without a crystal-clear idea of who you should be targeting with your marketing messaging – and why – all your efforts could be for naught. This is why creating complex buyer personas for your target audience is so important. Buyer personas are fictional personas that represent your ideal customer. The key to a successful marketing campaign is understanding your audience. Buyer personas are imperative to having accurate audience insights. However, many landscapers choose to skip this step because they already know their customers. But do they? Buyer personas help you by giving you a defined set of beliefs, buying motivations, and personality traits to use in your interactions with customers. You’ll gain a better sense of their likes, habits, demographic info, preferred shopping methods, pain points and more. Knowing them on a deeper level enables you to better connect. 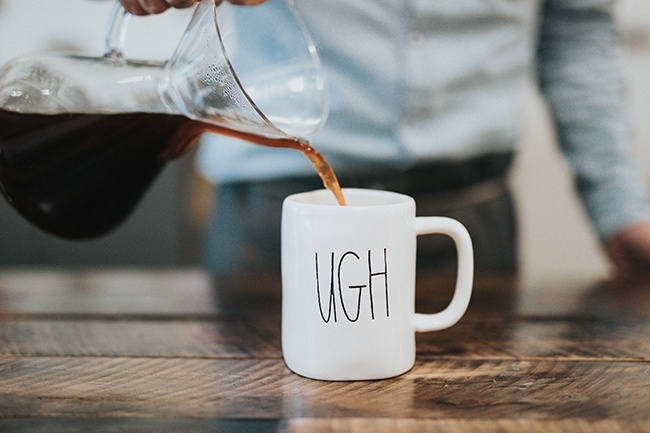 When you have a better idea of what kind of customer personalities you are dealing with, you will do a more efficient job of appealing to these specific desires. Buyer personas help make your marketing efforts more efficient. Your campaigns hit the right target with less “waste”, often leading to more sales without additional effort or cost on your part. Time is money, and buyer personas help you save both. Creating buyer personas takes some work. You will need to do your homework. This can include research, surveys and interviews of your target audience. You will want to talk to people and find out what they like about your company. You’ll want three to five interviews to start. You should also look through your customer database. See if there are any trends that stick out. Your staff might also be able to offer their insights. Their customer interactions should provide you with common answers and communication they have with customers. Don't Worry Change Is Good! Your buyer personas will likely change as you learn new information and you may even discover entirely new buyer personas altogether as your business grows. However, by using buyer personas your ad targeting and communication stands a much better chance. 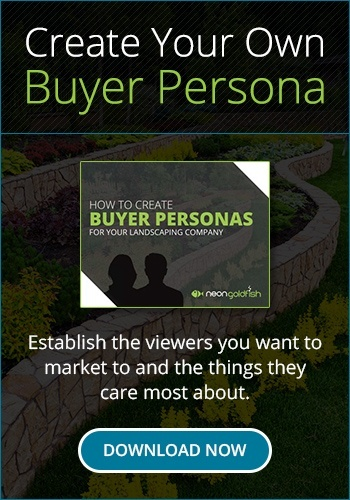 If you need help creating buyer personas for your landscaping business, contact Neon Goldfish. We have easy-to-use templates available to assist you, and we can help put these buyer personas to work to get your business to grow.